Dot Matrix Printer Type: Universal ticket printer. Interface Type: USB. Paper Feed Mode: Manual. Type: label printer. Double-sided Printing: No. Supports Network Printing: Wired/Wireless. Color Print Speed: 101MM/S. Includes 4m clear tape. Uses 6 x AAA batteries (included). 10 auto label designs. Built-in label cutter. Paper Width: 80mm. Compact and lightweight, easy to carry, low noise and high speed printing, USB Bluetooth printer. The indicator light is on when charging, and the indicator light is off after charging. Enterprise Networking & Server. It can print 58mm width thermal paper with a printing speed of 90mm/sec. -Max paper width: 58mm. Tablet & eBook Reader Parts. iPads, Tablet & eBook Reader A. Car /Motorcycle Vehicle part. Print labels quickly and easily. Simply connect to your computer via the included USB cable and launch the built-in software to get started creating professional labels using your own keyboard. Create multi-line labels using fonts and graphics on your computer. Connectable by USB you can label wherever directly form your PC or Mac, leaving power cords and batteries no longer needed. Editing your text and managing the lay-out of the label (borders, orientation, margins. ) has never been more easy. Support USB, and Bluetooth communication. Compared with an ordinary Bluetooth printer, our printer is more durable. Product type: Wireless Bluetooth Printer. Communication interface: standard RS232 / USB interface, Bluetooth 4.0 / SPP, BLE, SOCKET protocol or IR / IRCOMM protocol optional. 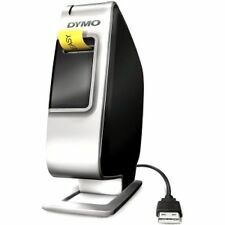 Mini 58mm USB Ticket Label Thermal Printer Receipt POS Printing w/ Roll Paper. Command ESC / POS Compatible Instruction Set. High performance: Clear printing on 57.5±0.5mm thermal paper rolls, up to a maximum of 100mm/sec, while maintaining low noise and high speed printing. Has marks on machine from being used. 31x40x21cm approx (HxWxD). Paper width: 25 - 80mm. - Uses thermal paper instead of ink and is typically smaller, quieter, faster, and more energy-efficient than dot-matrix printer. - Supports any types of thermal stickers. - Communication interfaces include USB and serial interface. Uses thermal paper instead of ink and is typically smaller, quieter, faster, and more energy-efficient than dot-matrix printer. - Communication interfaces include USB and serial interface. - Interface: power port, USB-B port. 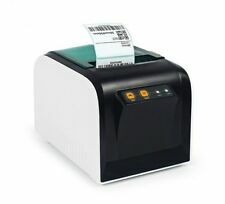 The Brother QL-810W is a professional, high-speed label printer with unique technology that allows you to print in high visibility in black and red on the entire label. Can also share on a network. Use the free Brother iPrint & Label App(1) to print labels wirelessly from your Apple iPhone, iPad, and iPod touch or Android smartphone.